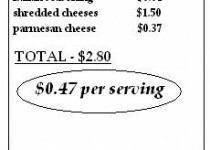 ya'll know with a family of 6, ordering out, even for pizza can get pricey. especially when you add breadsticks on top of the price of the pizza. so i challenged myself to come up with a way to make my own. they turned out wonderful. the great thing about making your own is not only do you save a ton of money, but you can customize it to what your family likes! preheat the oven to 475 degrees. if you will be using a pizza stone, place it in the oven while the pizza is preheating. 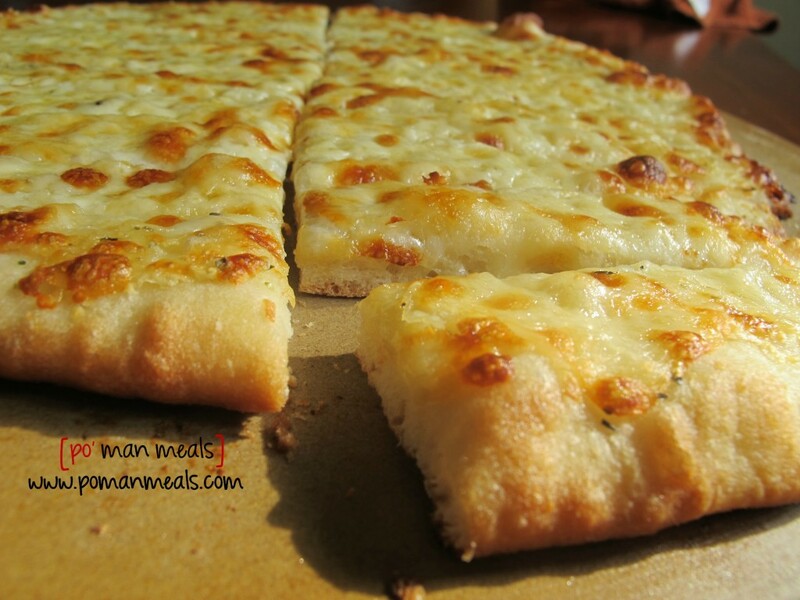 make my homemade pizza dough recipe. cut the dough in half. you can freeze the other half of the pizza dough or make 2 sets of breadsticks. combine the softened butter, garlic and italian seasoning in a small bowl. stir until everything is mixed well. sprinkle some cornmeal on a cutting board or pizza peel, so the dough will not stick when you slide it off. set aside. on a lightly floured surface, roll the dough out to about an 10 - 12 inch circle. roll the dough onto your rolling pin and place the dough onto the prepared cutting board or pizza peel. spread the butter mixture over the dough. sprinkle the mixed cheeses over the top of the butter. 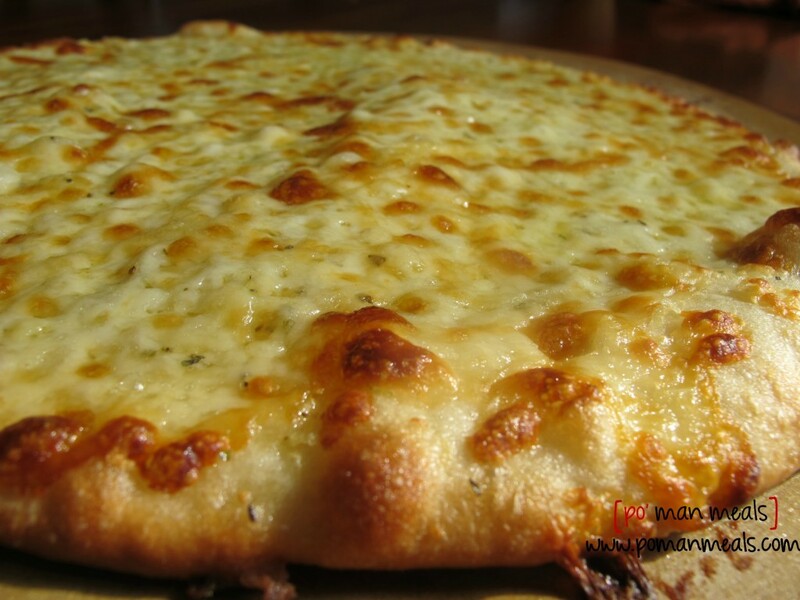 carefully slide the dough onto the preheated pizza stone or pizza tray. bake in the preheated oven for about 10 - 12 minutes. you can go to town with substitutions for this recipe. try different cheeses or even add bacon! How come no option for printing. I like to look at paper while making tbings, not my phone that keeps shutting off. Js, Thanks for all your posts.